We love it when tech and fashion cross paths. This year at CES, dressed-up wearables made an even bigger splash than at 2015’s show. 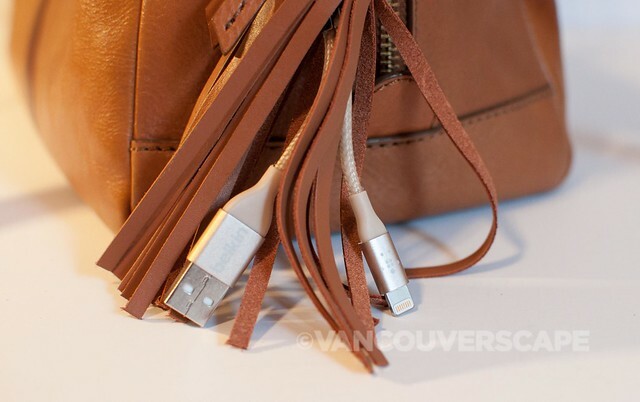 Belkin has recently gotten on board with a Lighting to USB leather tassel, perfect for mixing and matching with backpacks, purses and satchels. I always knew there would come a time when the Fossil Sydney Satchel I featured awhile back would find a matching accessory. 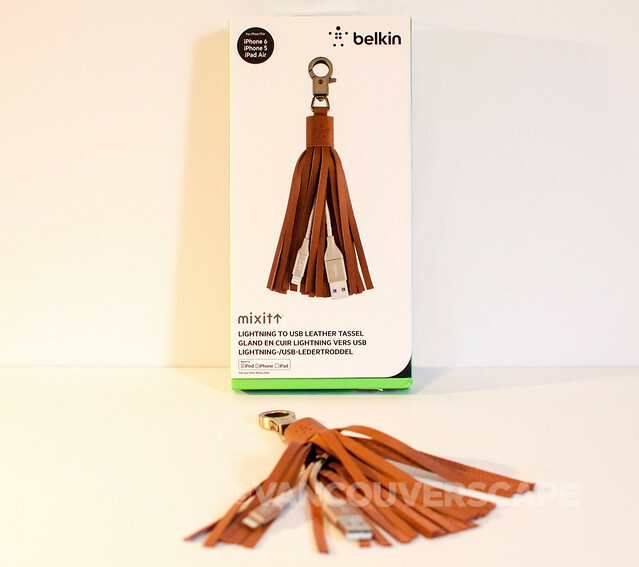 Belkin’s leather tassel is available in black, pink, gold and grey. 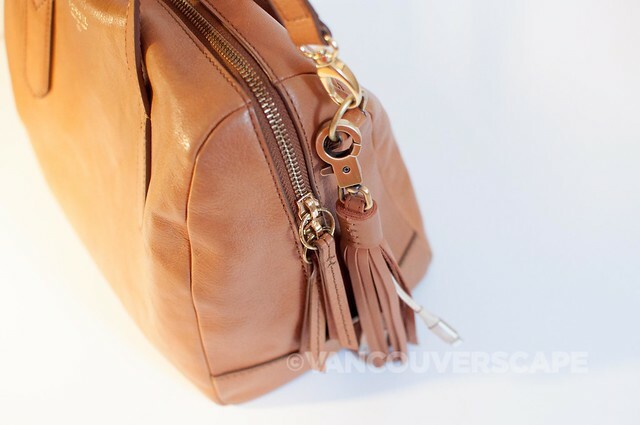 The gold variation features a dark camel-coloured leather tassel with iPhone gold cable and ports. 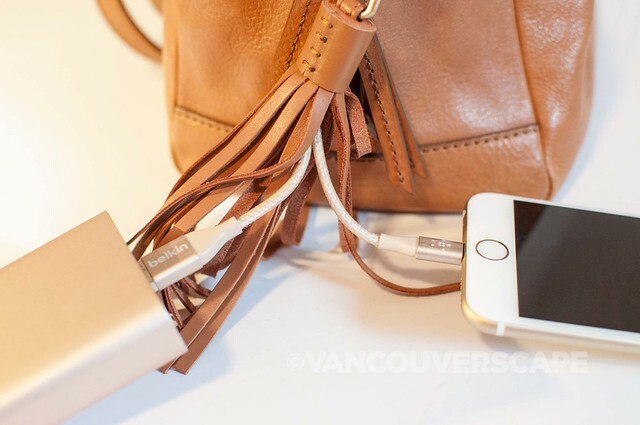 It’s hidden right inside the tassel but remains easily accessible for charging your iPhone on the go. 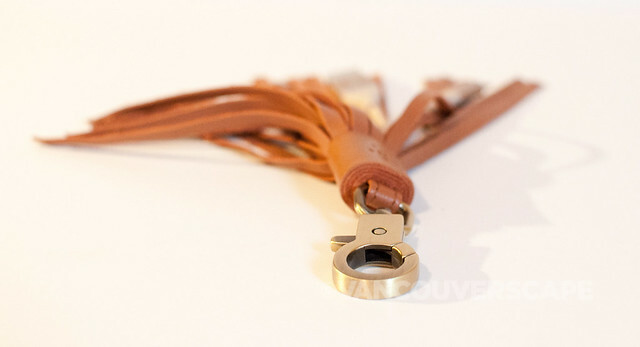 A solid brass spring-action clip on top easily attaches to any carry item with a ring or material loop. The MIXIT tassel is technically on the website and will soon be available online and at major retailers for US $34.99. I hope it will also make its way up to Canada. 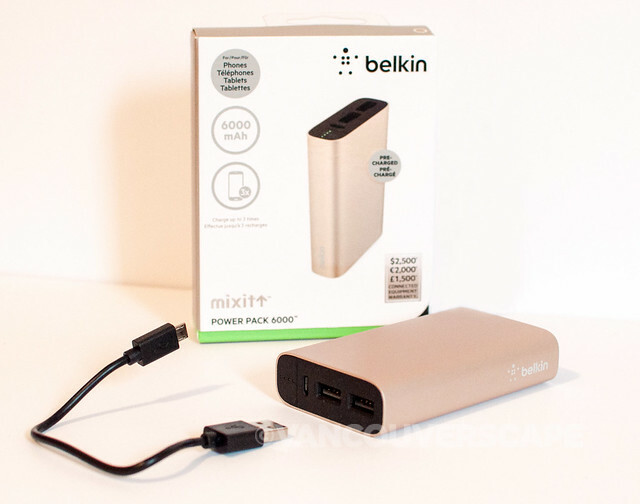 The tassel is the perfect partner for Belkin’s MIXIT Metallic Power Pack 6600, a portable power bank offering 6000 mAh for phones and tablets. It comes boxed with a micro USB cable (useless for any Apple products but great for compact cameras and other small electronics). Weighing in at 130 grams (4.6 oz), it measures 8.3 cm (3.3”) high by 5.08 cm (2”) wide and comes with a three-year warranty. 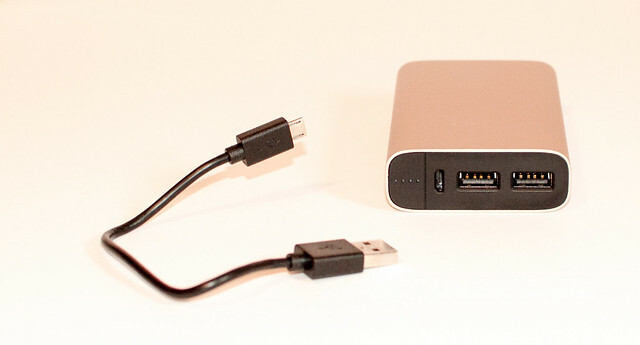 The micro USB cable can be plugged into a USB charging cube or USB car charger. 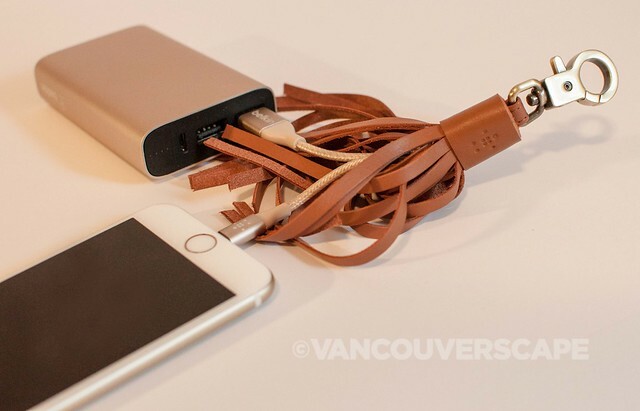 It will simultaneously charge two smart phones and one smart phone and a tablet. Press the button on top and a row of four tiny green LED lights indicates current battery charge level. The product boasts a $2,500 Connected Equipment Warranty; Belkin will repair or replace electronic devices damaged by an electrical charge when properly connected to this charger up to US $2,500/€2,000 or £1,500. Curiously, I noticed the box says 6000, yet the website shows 6600. I wasn’t able to find the 6000 model, so I’m guessing this is either the updated version of that model or a misprint. 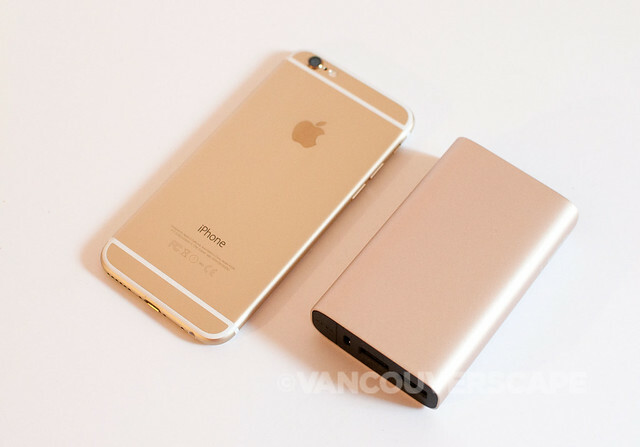 The Power Pack 6600 is available in rose gold, silver, gray and gold and retails for US $59.99. Unwatermarked product shots courtesy of Belkin.